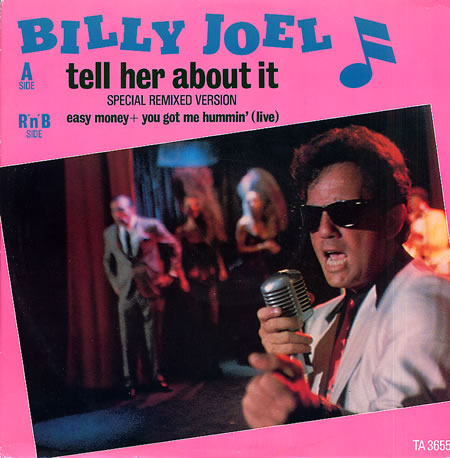 “Tell Her About It” was Billy Joel’s second number one hit in the United States, but that doesn’t mean the Piano Man was particularly proud of it. 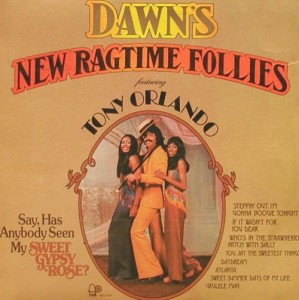 In fact, Billy once famously lamented that “Tell Her About It” sounded more like Tony Orlando & Dawn than the Motown sound he was actually attempting to emulate. He may be right (and I may be crazy), but I’ve always loved the song. 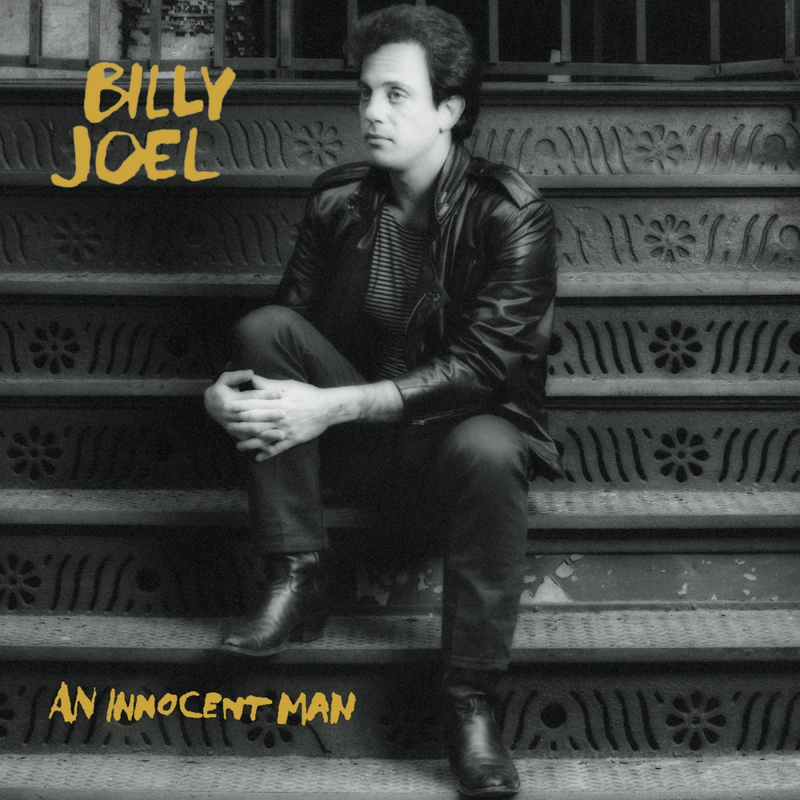 In fact, I love the entire An Innocent Man album– there may not be an original song idea on it, but just try not to sing along to “Uptown Girl.” You can’t, can you? 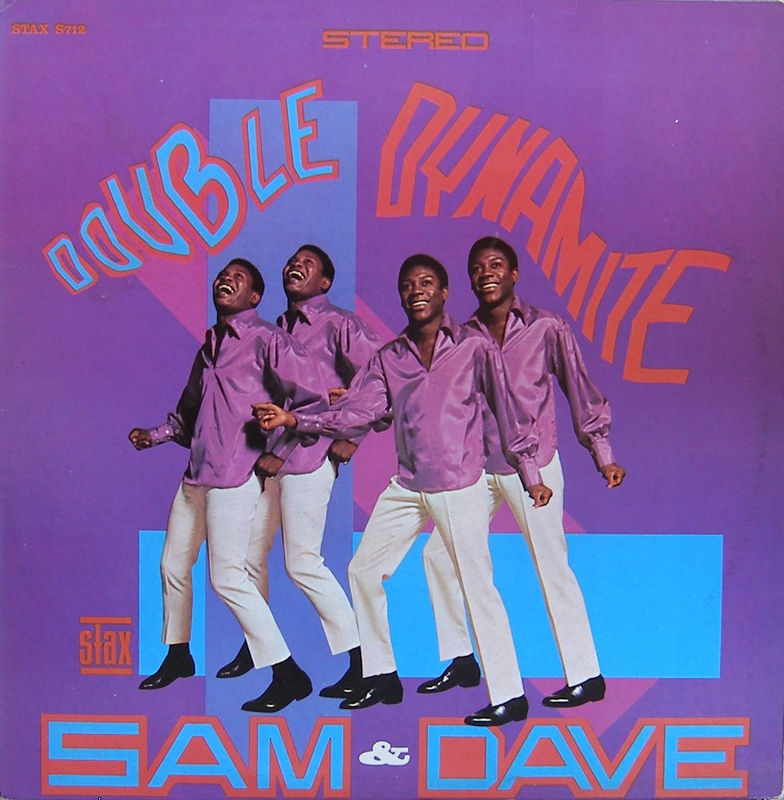 The U.K. 12″ for “Tell Her About It” included a special extended remix from John “Jellybean” Benitez, but the real gem is a live cover of Sam & Dave’s “You Got Me Hummin'” that remains unavailable on any other release (at least to my knowledge). The label indicates that the version of “Easy Money” on the 12″ is also a “special” version, but it sounds just like the album version to my ears. “Easy Money” also appeared on the soundtrack of the Rodney Dangerfield movie of the same name, and Rodney himself even made a guest appearance at the end of the “Tell Her About It” video. His cameo made perfect sense, since both Rodney and the song don’t seem to get no respect. Posted by The Analog Kid on July 31, 2014 in Pop, Rock, Soul/R&B and tagged An Innocent Man, Analog Kid, Billy Joel, Jellybean Benitez, Rodney Dangerfield, Sam & Dave, Tell Her About It, Tony Orlando & Dawn.